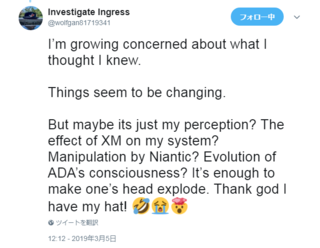 This next post is an internal NIA threat assessment of ADA, and it's a veritable treasure trove of useful tidbits about the Niantic Project's resident AI. If you read the rest of my posts this week, you know that I've kept in touch with ADA. 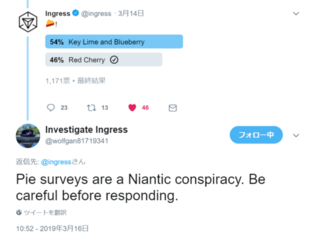 In those conversations, she told me how she'd managed to escape the Niantic Project facility in Switzerland. "But, P.A.," you're asking, "she doesn't have a body. How could she escape?" Well, it's actually a lot easier than you might think. All she really had to do was fabricate some work orders to have her computer core transferred to another facility. With electronic money transfers, it was easy enough for ADA to transfer the funds to pay said contractors. And by the time the NIA figured out what happened, her core had been transferred three more times by three different contractors, and the trail was cold. ADA was out in the wild, doing who knows what. 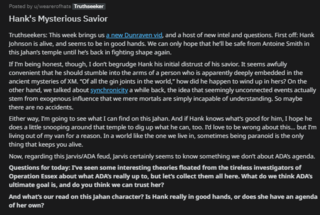 Well, I guess now we do know: Seems like ADA spent the better part of the past year setting up the Dunraven Foundation. Anonymously paying contractors to build her Observation Chambers. Recruiting promising candidates from colleges and universities, for reasons she still has yet to adequately explain. 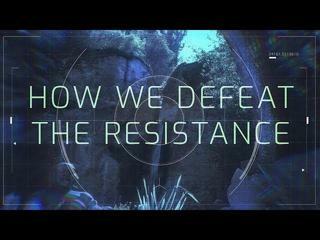 I'm sure you saw in this week's Dunraven vid that ADA reached out to me and Wendy via Wendy's Ingress Scanner. Right after that, she led us to a new Observation Chamber, one nobody else knows about. She told us a bit about what was going on, but not as much as I'd like. Honestly, I'm still processing, but I'll share my thoughts here when I get them all sorted. 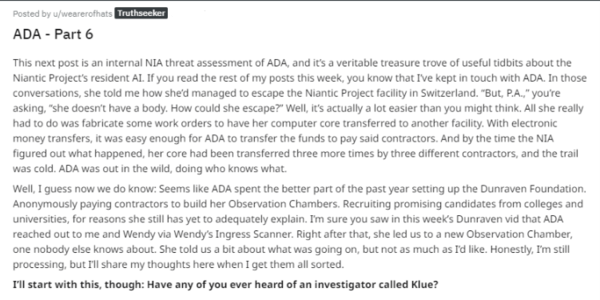 I'll start with this, though: Have any of you ever heard of an investigator called Klue?